Let Lifestyle Coach Nina Lynn guide you through menopause to reclaim your vitality and radiance. Nina's coaching style is compassionate while always bottom-line. It’s not about deprivation, but healthy satisfaction. Nina's goal is to guide you through peri-menopause and menopause with the tools to empower you to live a life of radiant health. We all have the potential for health and vitality; helping you realize yours is Nina's mission. NUTRITION - Developing an eating plan based on your specific metabolic needs is the most effective way to guide you back to health and balance. STRESS REDUCTION - Stress reduction techniques, energy balancing, and simple adjustments to your bedroom, can help you get the rest and recovery you need. MOVEMENT - An effective exercise program appropriate for your level of fitness, systemic health and current stress load, while meeting your specific goals. EMOTIONAL CLEARING - Releasing emotional blocks that may be holding you back from reaching your goals. FOOD AND SPIRIT - An eating and lifestyle protocol designed to allow the full spectrum of your being to work in harmony, which leads to balance and wellness. ASSESSMENT - Listening to YOU, hearing your story to get a clear picture of your wellness goals, as well as your current metabolic and overall health. EDUCATION - Learning healthy vs unhealthy food and lifestyle choices and the "why" of better choices for you. DAILY ACCOUNTABILITY FORM - Short daily form to record your sleep, meals and activities. WEEKLY ACTION PLAN - 1-3 actions for you to implement for the week, adjusting each week to meet your needs. TWICE A MONTH FACE TO FACE, OR FACE TO SKYPE - to discuss challenges and successes. "Clearing negative emotions with Nina Lynn is like a breath of fresh air. It is a process that is as natural as walking, and with Nina's gentle intuitive guidance, a very powerful and positive experience as well. I look forward to each session and leave with a smile." "I have been consulting with Nina for two years now, and I trust her advice. Not only is she a knowledgeable nutritionist and trainer, but she is also educated in the realm of balancing our entire bodies. She has been a gift to my life and has changed the quality of it. I'm finally off caffeine and sleep-enhancing drugs because my body is finally in balance. I have energy throughout the day, I sleep deeply and wake up revived." "Nina listened to my health needs and helped me to stabilize my stressed-out system through a combination of activities such as nutrition, detoxifying my organs, designing a personalized exercise system and creating a healthy eating regime. She took into consideration my individual health concerns and body type, honoring me as a unique individual." 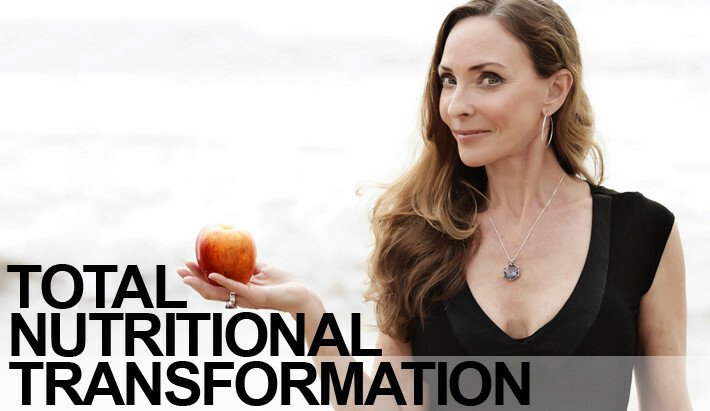 "I highly recommend Nina Lynn for nutritional advice, weight management and exercise guidance. I can best describe Nina as “present". She met with me and took the time to investigate and figure out what would be best for me and for my particular needs. She was more than available to me on a daily basis. We called each other, emailed and met in person when we could. (I live about 50 miles away.) She developed a nutrition and exercise plan for me and coached me daily to help me maintain it. The results were astounding. I lost over 20 pounds and gained significant muscle mass, energy and stamina. I intend to continue work with Nina to further and maintain these results.